Let's start with the ZenFone 3 Zoom. We don't have the full specs, but here's what we've got. The battery is huge, which is nice for a phone that you'll (presumably) be using to take a lot of photos. There are very few phones that have optical zoom. There's also optical image stabilization. The hardware seems otherwise mid-range. This phone will launch next month, but pricing and exact configurations aren't available yet. 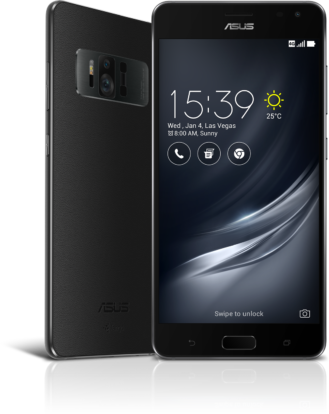 The ZenFone AR is probably a bigger deal because it's a Project Tango phone that isn't massive. Here are the specs, which again, are not complete. The ZenFone AR will be the first phone to work with both Daydream and Tango, and the Snapdragon 821 ensures it won't have the lag issues present on the Phab2 Pro. Also 8GB of RAM, Asus? I don't know if that's necessary, but damn. Despite being smaller than the Phab2 Pro (5.7-inch vs 6.4-inch), the ZenFone AR has just a small Tango sensor cluster on the back. It looks much less insane than the Lenovo phone. The ZenFone AR will be out in Q2 2017, but pricing (and the rest of the specs) are unknown right now. 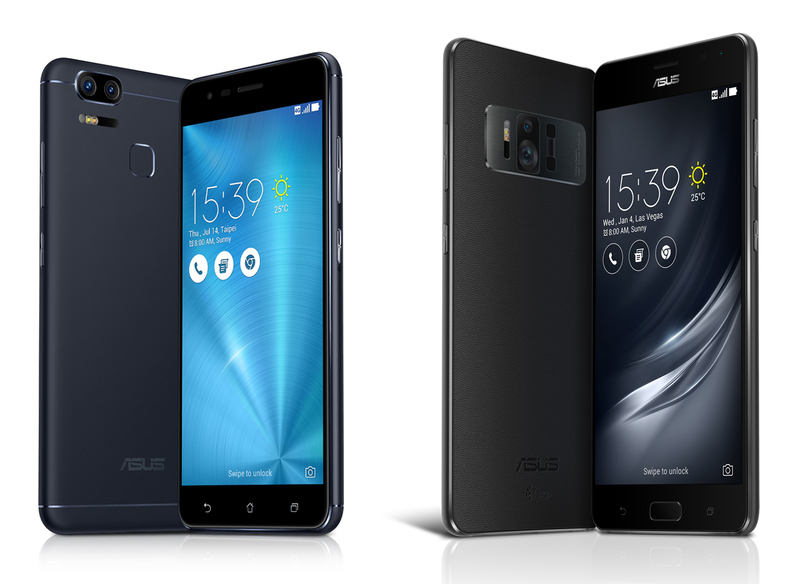 Las Vegas (January 4, 2017) — ASUS Chairman Jonney Shih today unveiled the ASUS ZenFone AR and ZenFone 3 Zoom smartphones during the Zennovation press event at Caesars Palace in Las Vegas. ZenFone AR will be the world's first smartphone that is both Tango-enabled and Daydream-ready. Tango is a set of sensors and computer-vision software by Google that enables smartphone augmented reality. Daydream is Google's platform for high-quality, mobile virtual reality and supports Daydream VR apps. ZenFone 3 Zoom is built for photography and extended use with the world's best smartphone camera and a large, 5000mAh battery. ZenFone AR is also the world’s first Tango-enabled device to be powered by the latest Qualcomm® Snapdragon™ 821 processor, and is designed to deliver cutting-edge smartphone augmented reality experiences. ZenFone 3 Zoom is powered by the Snapdragon 625 processor. 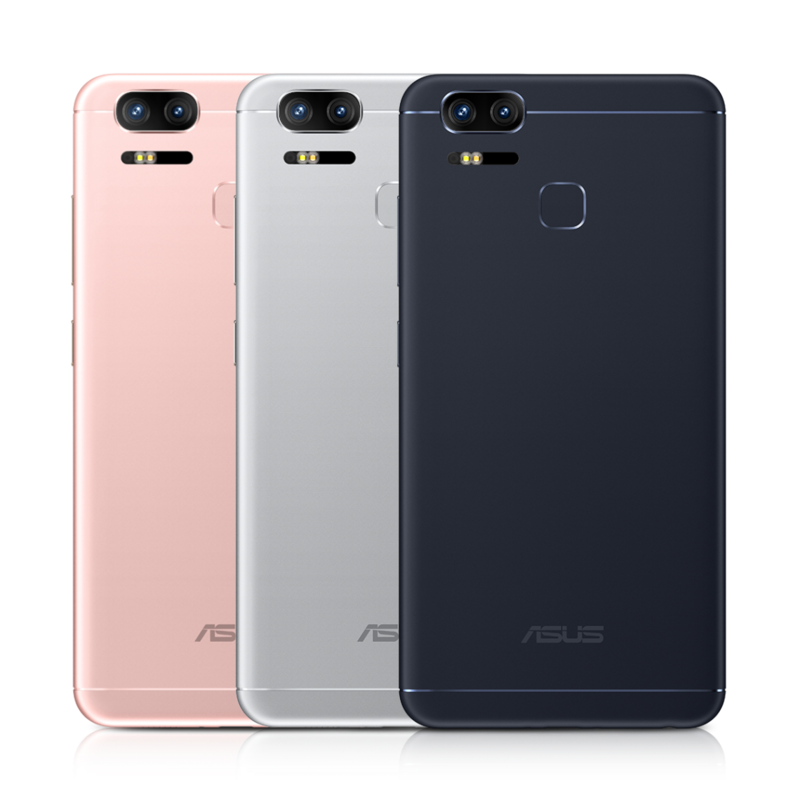 Following the announcements, ASUS hosted a demo area showcasing ZenFone AR, ZenFone 3 Zoom, and the latest lineup of lifestyle, business, and Republic of Gamers (ROG) gaming products. New lifestyle and business products include the ZenBook UX490 laptop, VivoPC X desktop PC, ProArt PA32U monitor, and ASUSPRO B9440 business laptop. New gaming products include the ROG Maximus IX Extreme motherboard, ROG Gladius II mouse, ROG Rapture GT-AC5300 router, and ROG Strix Magnus gaming microphone. Additionally, several desktop and laptop PCs updated with the latest 7th Generation (‘Kaby Lake’) Intel® Core™ processors were also shown, including the Zen AiO ZN270 desktop, ROG GT51CH gaming desktop, and the ROG GX800VH and G752 gaming laptops. ASUS ZenFone AR is a next-generation smartphone that represents a significant advance in mobile VR and AR technologies. It is the first smartphone that will be Tango-enabled and Daydream-ready. Tango is a set of sensors and computer-vision software by Google that enables unique AR user experiences on a smartphone, such as AR gaming, AR utilities, and indoor navigation. Daydream is Google's platform for high quality, mobile virtual reality and supports Daydream VR apps. ZenFone AR was developed in close cooperation with Google to deliver the best Tango and Daydream experiences. ZenFone AR is the thinnest and lightest Tango-enabled device. This breakthrough in size and weight is made by possible the innovative ASUS TriCam™ system, a three-camera system consisting of a 23MP main camera, motion-tracking camera, and depth-sensing camera. Unlike three-camera systems in other devices, the design of the ASUS TriCam system clusters its array of cameras to reduce their footprint within the phone, enabling the entire phone to be thinner and lighter. ZenFone 3 Zoom’s innovative dual-camera system comprises two 12MP cameras, one with a f/1.7-aperture, 25mm wide-angle lens and a second with a 56mm lens. Users can instantly switch from the 25mm primary camera to the 56mm camera, giving them a 2.3X optical zoom that is perfect for portraits and capturing distant subjects. An improved TriTech+ autofocus system automatically chooses among three autofocus technologies — Dual Pixel PDAF, subject tracking autofocus, and second-generation laser focus — depending on the situation to achieve accurate focus in just 0.03 seconds, even when photographing moving subjects. ZenFone 3 Zoom has a high-capacity 5000mAh battery that is sculpted to fit in the phone’s super-slim, 7.9mm full-metal body. The phone weighs just 170 grams, yet with its large battery and powerful, efficient Qualcomm® Snapdragon™ 625 processor it provides users with up to 42 days of standby time on a 3G network. The high-capacity battery also complements ZenFone 3 Zoom’s photographic capabilities, allowing users to shoot more photos, enjoy power-intensive operations like time-lapse photography, and capture up to 6.4 hours of continuous 4K UHD video on a single charge. ZenFone 3 Zoom can also double as a high-speed power bank for charging other devices.